Lewis Hamilton completed a practice double on Friday as he bids to get his Formula One championship charge back on track in China. Hamilton, who will head into Sunday\'s race 17 points adrift of Sebastian Vettel, ended both sessions at the top of the order after delivering an ominous warning to his rivals. 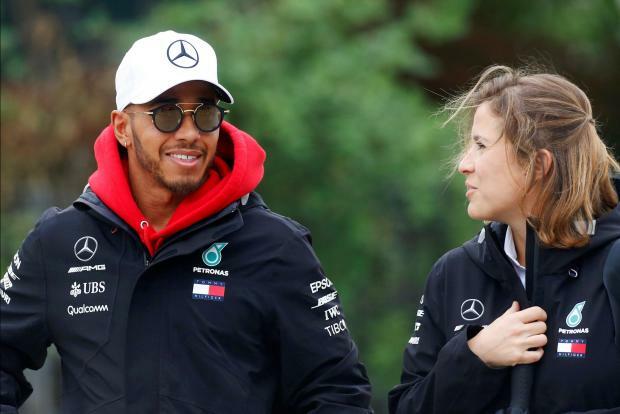 But Hamilton\'s slim advantage over Ferrari\'s Kimi Raikkonen at an overcast Shanghai International Circuit suggests the Mercedes driver may not have it all his own way this weekend. While defending champion Hamilton was a third of a second clear of Raikkonen in the day\'s opening running, the margin at the conclusion of the second session stood at only seven-thousandths. Hamilton\'s Mercedes team-mate Valtteri Bottas, under pressure following a middling display in Bahrain a week ago, was third, just 0.033 sec off the pace, while Vettel was also only one-tenth down. The 20-year-old Dutchman, who revealed on Thursday that he will not adapt his aggressive style despite his collision with Hamilton in Bahrain, spun off in Friday\'s opening session. Verstappen clipped the apex at the last bend and slid off into the gravel. He nursed his Red Bull back on to the circuit and escaped without damage. Verstappen\'s team-mate Daniel Ricciardo, who retired from the Bahrain Grand Prix following an electrical issue, was ninth in the order. McLaren sit third in the constructors\' championship, but their lofty position is flattered by other teams\' failures at the opening two grands prix. And there were further troubles for the British team on Friday after sending Stoffel Vandoorne on track with his left-rear tyre not properly fitted. The Belgian was forced to stop on track, and the incident comes only days after Raikkonen\'s catastrophic pit stop in Bahrain which resulted in one of his Ferrari mechanics sustaining a double leg fracture. The McLaren cars were off the pace, too, with Fernando Alonso only 10th, more than one second down on Hamilton, while Vandoorne posted only the 14th-fastest time before his late stoppage. The promised wet weather arrived in the closing moments of the second 90-minute session by which time Canadian Lance Stroll was rooted to the foot of the order in another miserable showing for Williams. Lewis Hamilton, of Mercedes, clocked the fastest time after the opening day of practice. Hamilton, who will head into Sunday's race 17 points adrift of Sebastian Vettel, ended both sessions at the top of the order after delivering an ominous warning to his rivals. But Hamilton's slim advantage over Ferrari's Kimi Raikkonen at an overcast Shanghai International Circuit suggests the Mercedes driver may not have it all his own way this weekend. While defending champion Hamilton was a third of a second clear of Raikkonen in the day's opening running, the margin at the conclusion of the second session stood at only seven-thousandths. Hamilton's Mercedes team-mate Valtteri Bottas, under pressure following a middling display in Bahrain a week ago, was third, just 0.033 sec off the pace, while Vettel was also only one-tenth down. The 20-year-old Dutchman, who revealed on Thursday that he will not adapt his aggressive style despite his collision with Hamilton in Bahrain, spun off in Friday's opening session. Verstappen's team-mate Daniel Ricciardo, who retired from the Bahrain Grand Prix following an electrical issue, was ninth in the order. McLaren sit third in the constructors' championship, but their lofty position is flattered by other teams' failures at the opening two grands prix. The Belgian was forced to stop on track, and the incident comes only days after Raikkonen's catastrophic pit stop in Bahrain which resulted in one of his Ferrari mechanics sustaining a double leg fracture.